Turkey summoned the US Ambassador John Bass to protest “aggressive behaviour” by American security personnel and “security lapses” during Turkish President Recep Tayyip Erdogan’s visit to Washington recently. 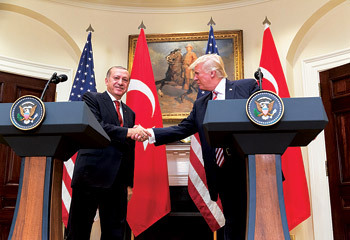 The visit was marred by bloody clashes that took place outside the Turkish ambassador’s residence after Erdogan met American counterpart Donald Trump. US officials and police have blamed Erdogan’s bodyguards for the incident, accusing them of attacking a small group of pro-Kurdish protesters gathered outside the building and the incident ignited a storm of controversy.